You can choose any image from our "BANNERS" collection. See webshop left side "banners". 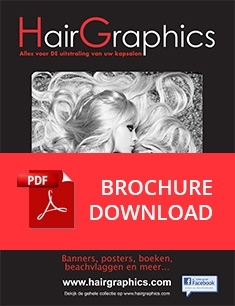 The pages from our books "Cut by HairGraphics" can also be delivered digitally. Digital images are available in 72 Dpi or 300 Dpi, free of rights for use. 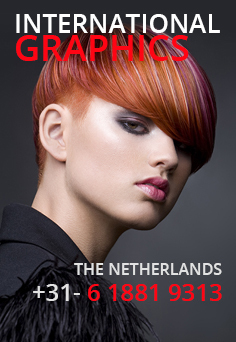 300 Dpi for large format images such as facade advertising, poster printing, window stickers and advertising. 72 Dpi for all small images such as images on tablets, websites, in a flyer or a brochure. The images are offered as a download (up to 24 hours) after payment so that you can use them as often as you like.